Oracle Choose one or both ? ? 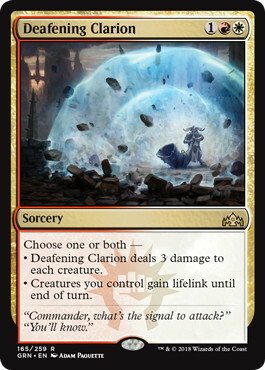 Deafening Clarion deals 3 damage to each creature. ? Creatures you control gain lifelink until end of turn. Flavor Text Commander, what's the signal to attack? You'll know.